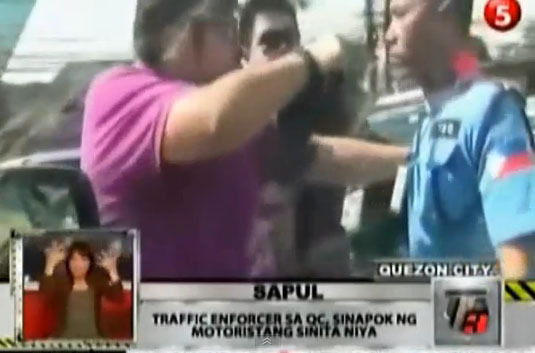 The recent assault on an MMDA traffic enforcer that resulted in probably deserved infamy for a corporate executive also once again brought to the public consciousness a phenomenon that only occasionally makes newspaper headlines: road rage. Coincidentally, the assault made the news at about the same time that a certain Rolito Go also made the front page news after allegedly having been kidnapped from – of all places – a correctional facility. Younger readers will naturally have no clue as to who Rolito Go is. Television news videos showed a frail soft-spoken old man supposedly suffering from colon cancer. In 1991, he was an early middle-aged man who shot a 25-year old DLSU Engineering student by the name of Eldon Maguan in what was then the country’s most publicised case of road rage. The term ‘road rage’ is used to connote the aggressive behaviour exhibited by the driver of a car or any other vehicle. It is believed to have been coined in the Los Angeles area in the late eighties after a series of freeway shootings called attention to the rogue behaviour being exhibited by certain drivers. In a way, the behaviour is sociopathic; especially if the aggressor goes overboard and attempts to inflict physical harm upon other drivers. The behavioural condition, however, is triggered by certain circumstances; and not all who experience it actually go to the extent of actually attempting to harm others. In the United States, one study has suggested that roughly half of all drivers have experienced the surge of anger and aggression usually associated with road rage. Manifestations of the condition range from the relatively harmless ‘finger’ or angry shouts at other drivers or pedestrians and establishments along the roads to deliberately bumping the front fenders into the rear of another car. In severe cases, drivers get out of their cars and attempt to inflict physical harm on drivers of other cars or other people on the road, such as the cases of both Carabuena and Go. 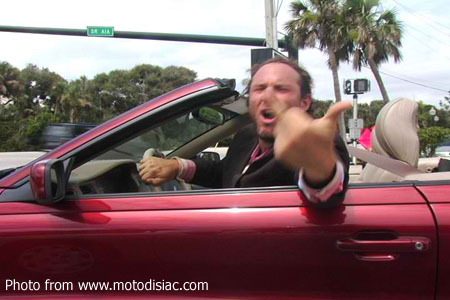 The environment is believed to be the most common trigger of road rage. Especially prone are drivers stuck in bumper-to-bumper traffic in hot, humid and noisy road conditions. One sees occasional instances of road rage triggered by such conditions on Philippine streets; but I struggle to recall one such instance that actually spilled over into the sort of violence that makes newspaper headlines. Even Carabuena’s actions, were it not caught by a network camera crew, would not have merited more than the cursory interest as can be expected when something like that happens on the roads. 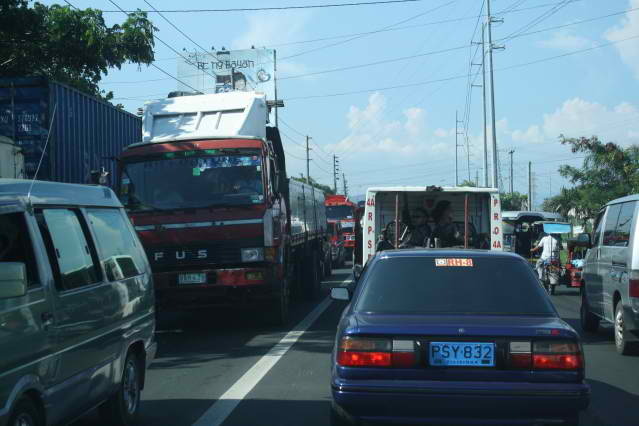 Perhaps, knowing as we all do that heavy traffic is part and parcel of daily life in the country’s larger cities, drivers have simply become inured to the conditions and have consequently become immune to road rage. Another, albeit less-common, cause of road rage is intrusion into a driver’s perceived ‘space’ – such as when a driver cuts in front of another. The intrusion is in itself an act of road rage; but the response of the driver whose space is violated in wishing to defend perceived territory is effectively a road rage response to another act of road rage. The case of Go, while chronicled as a case of road rage, was probably triggered by a fight with his girlfriend before he drove off into a one-way street. The violence of Go’s actions, coupled with the fact that such extreme acts of road rage are relatively rare even today, meant that his case was well-documented by the media. Road rage is not yet officially classified as a mental disorder, although therapists are trying to have it certified as a medical condition.